I've made some improvements on the first lettered bunting I did for my son's room, which had his name Thomas on it. 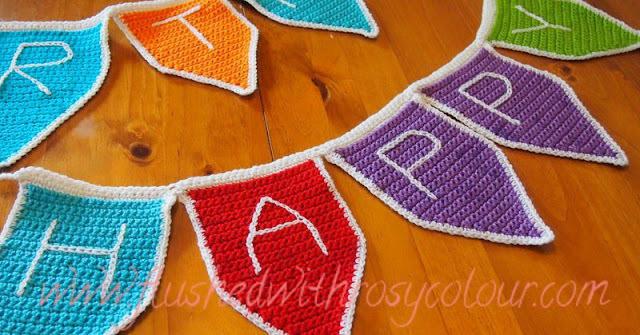 After my first bunting, I decided the lettering should all be in the one colour and in capital letters so its easier to read. This bunting has a flag shape instead of a triangle shape, to allow a square space for the capital letters to fit. 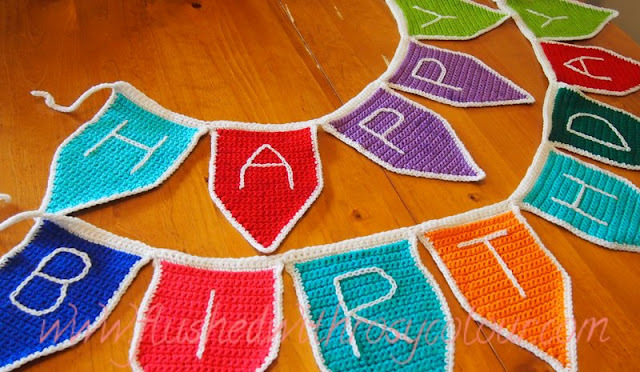 Once you've made all your bunting flags, you join them together with a couple of rows of sc, with loops at both ends to make it easier to hang. After I had finished these, I ironed them to make them lay flat. Because I used brightly coloured acrylic, they need to be ironed as they can't be blocked like natural fibres. 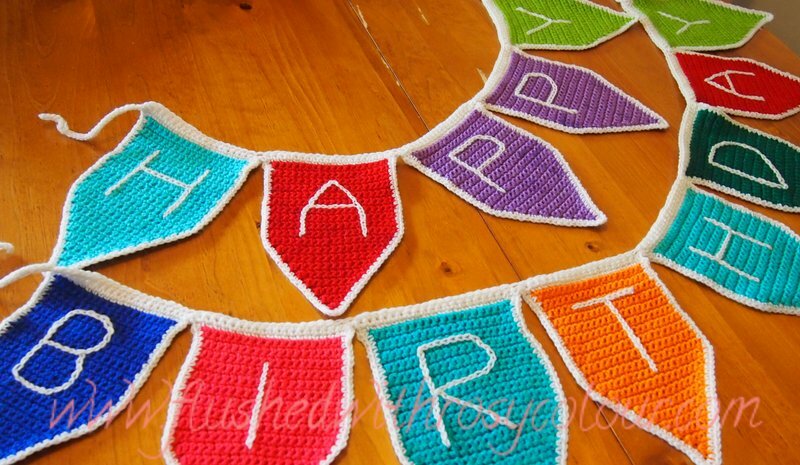 Nice simple pattern, just what I was looking for to make some similar bunting as a gift. 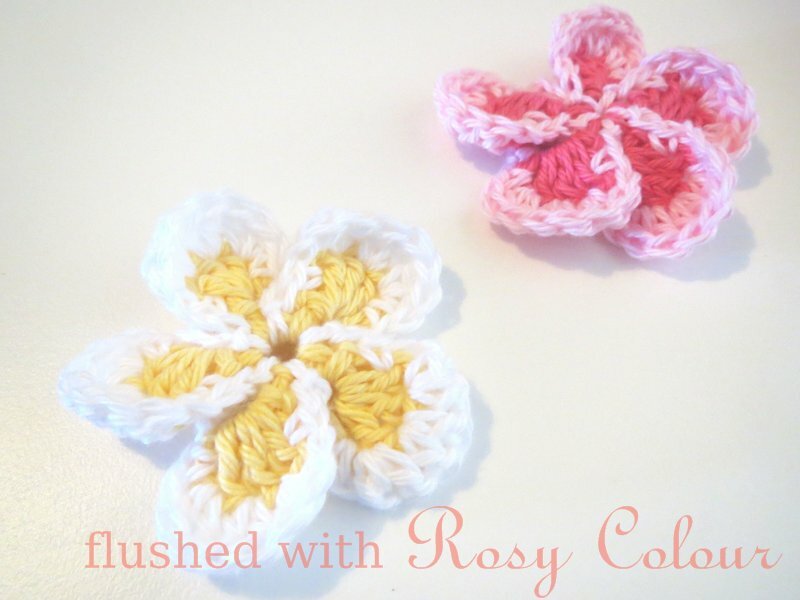 Thanks so much for sharing through Ravelry! sk is short for skip, in this case skip one stitch, I hope this helps!